Business cards are one of the few paper-specific items that managed to sneak by and still exist after the world started using computers, touch screens and well, any sort of technology. So I'll always think of it as a scrappy throwback to simpler times. 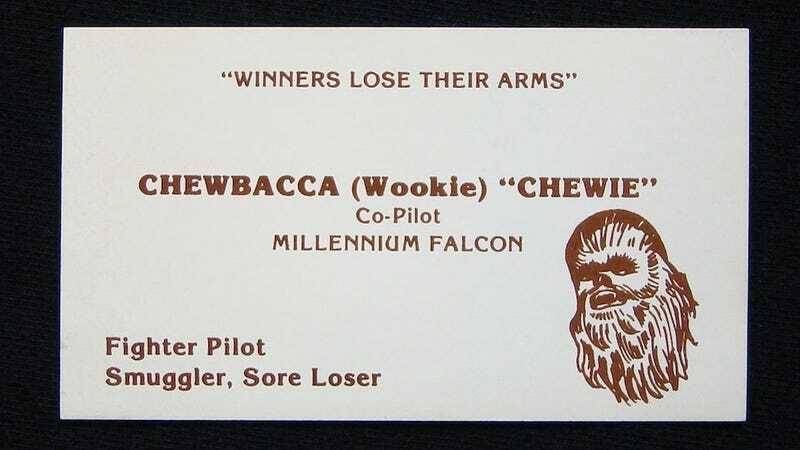 These Star Wars business cards by Mary Sue can be seen as a throwback to the best years of Star Wars. Hopefully they'll come back.